EQ-VTC-500W is an atmosphere controlled melt spinning system for preparing amorphous metallic ribbons. 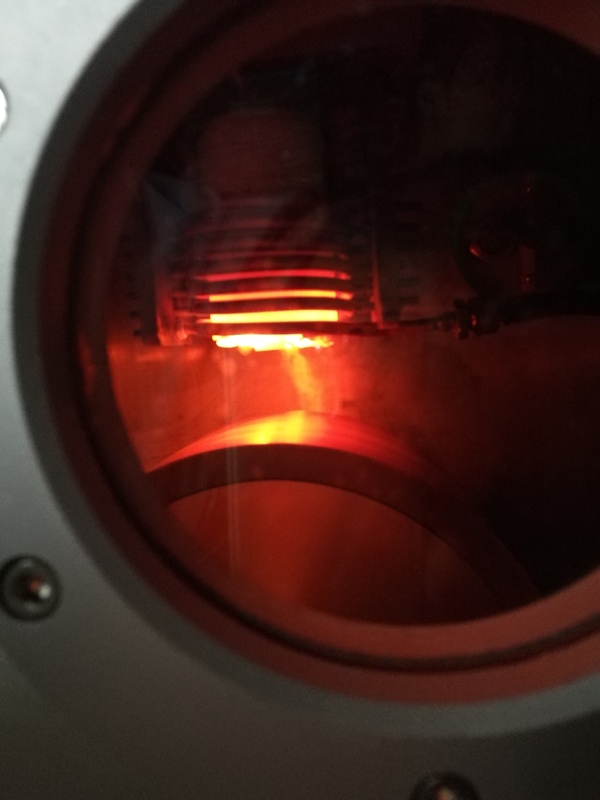 In this technique, metal ingots are melted via induction heating method and then propelled by pressurizing the crucible. A thin stream of molten is dropped onto a fast-spinning copper wheel, which can rapidly quench & solidify the molten, and consequently form the liquid metal alloy. 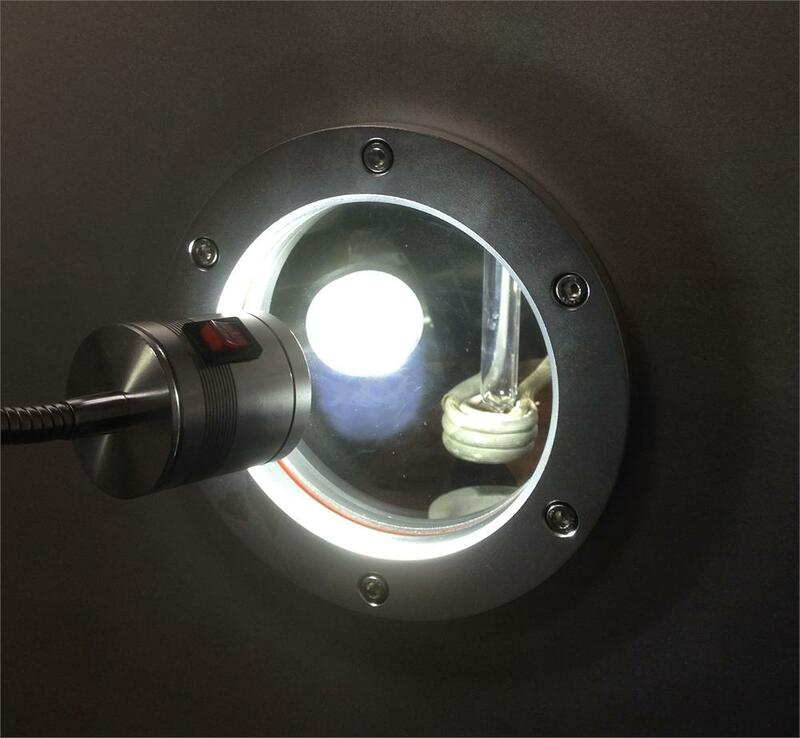 The system features an SS air-tight chamber with a front observation window. A dual stage oil pump is included for achieving high vacuum (up to 10^-2 Torr). ISO 160 flange reserved for turbopump connection if necessary. 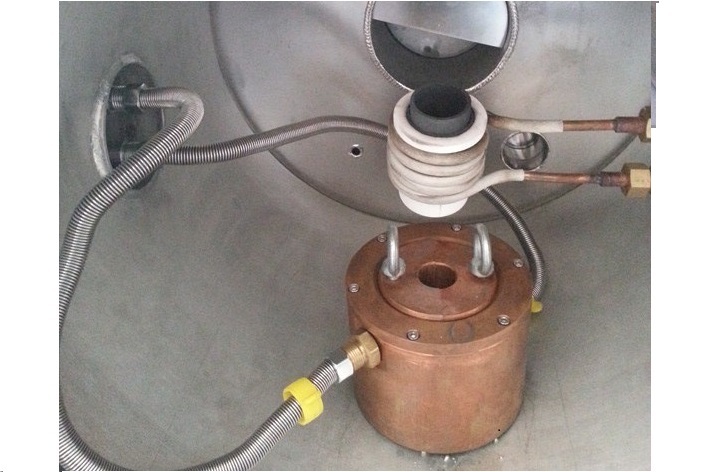 The unit provides inlet and outlet valves for inert gas purging, which could avoid moisture and oxygen exposure while processing the melt spinning. 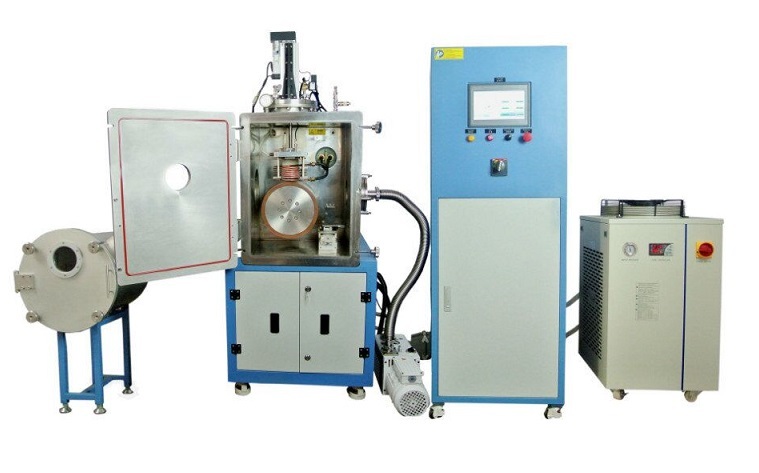 The user can also control the speed of the wheel, the induction heating power, the temperature and the pressure applied in melt spinning. 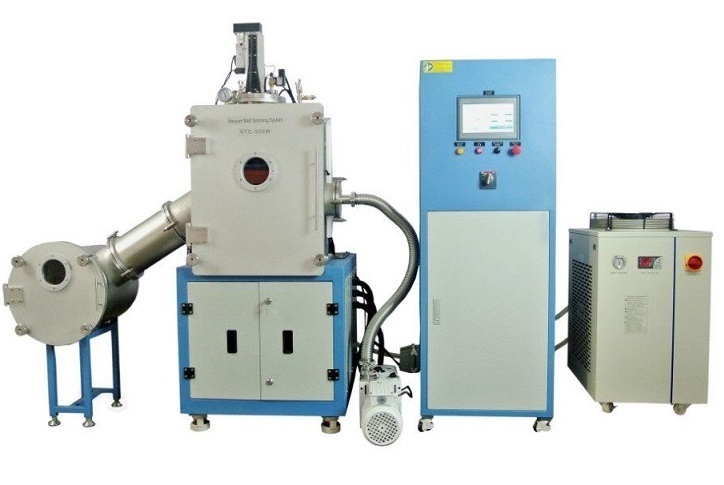 A complete system consists of a stainless-steel vacuum chamber, mechanical (or turbo) pump, a 15 kW induction heating system, a rack system, and a one-meter long discharging tubular collector. Copper flywheel with maximum 50 m/s (300mm Dia. Copper Wheel @ 2850 RPM) spinning speed. The distance between crucible and copper wheel is adjustable (electrical adjustment via servo motor). 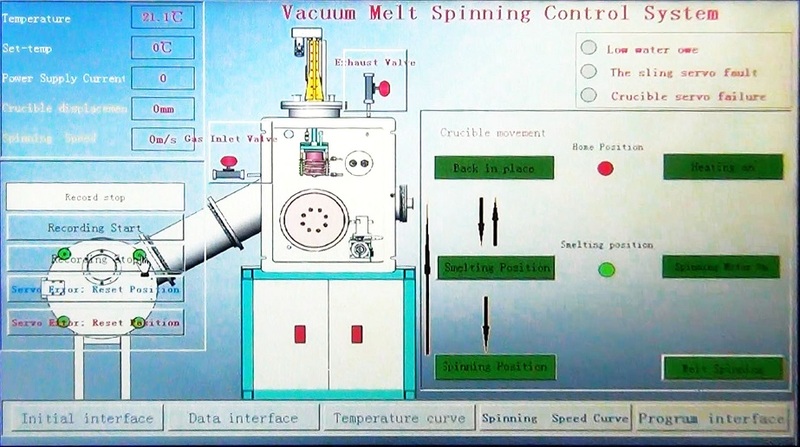 Large LCD touchscreen control for temperature & induction power, copper wheel spinning speed & on/off, mechanical & turbo pump on/off, solenoid valves for pump isolation and gas purging, melt-spinning on/off, and pressure monitoring. Maximum melting capacity around 500 g per batch (Note: material melting point < 1000°C). Featured a position adjustable “scraper” can prevent ribbon spin-off to the inside of the chamber. Featured a self-grinding/polishing mechanism for the copper wheel. Input Voltage: 220 VAC, three-phase, 60Hz. Input Power: 25 kW (A 70A breaker is required). 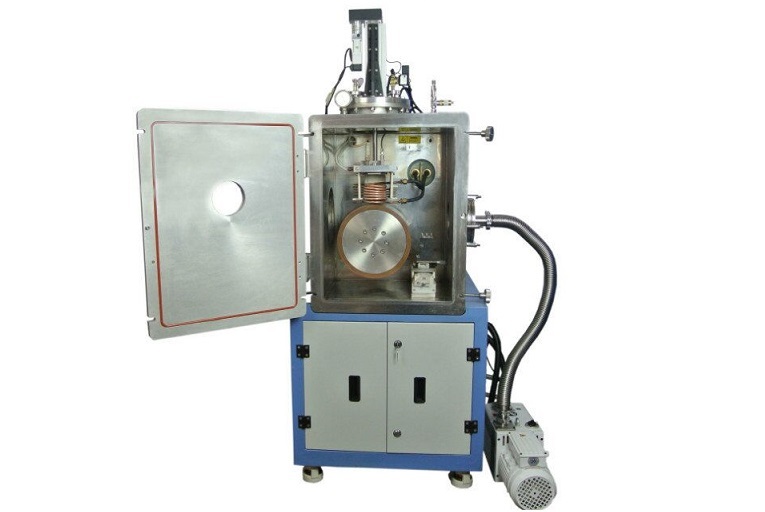 Vacuum chamber: 500 × 550 × 700 mm (L × W × H). Hinged type door with a quartz observation window and illumination lighting which provide better sight viewing of the process condition inside of the chamber. Mechanical pump with KF40 vacuum port which can evacuate to approximately 5 × 10-2 Torr within 30 minutes. High vacuum level 10-6 Torr (with an optional turbopump, which is not included). ISO-160 vacuum flange is reserved for turbopump connection. 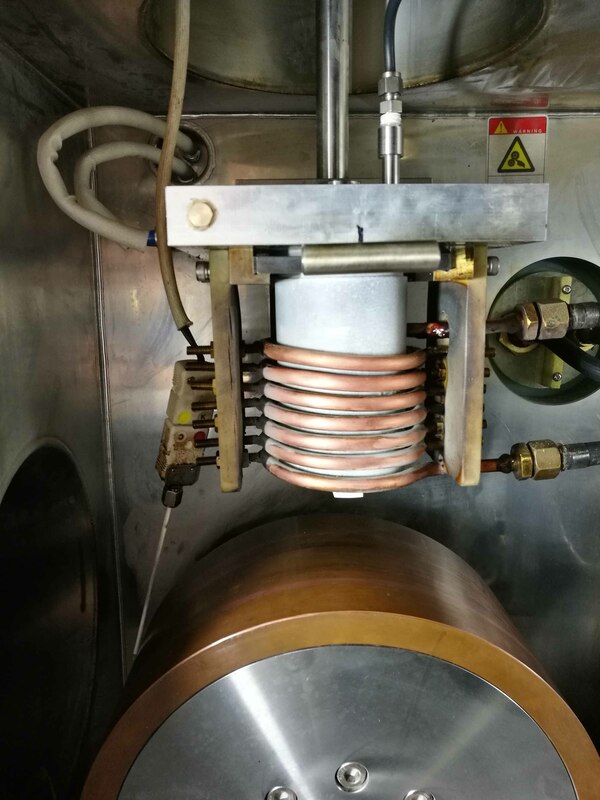 Dual station: 25 kW induction heater. 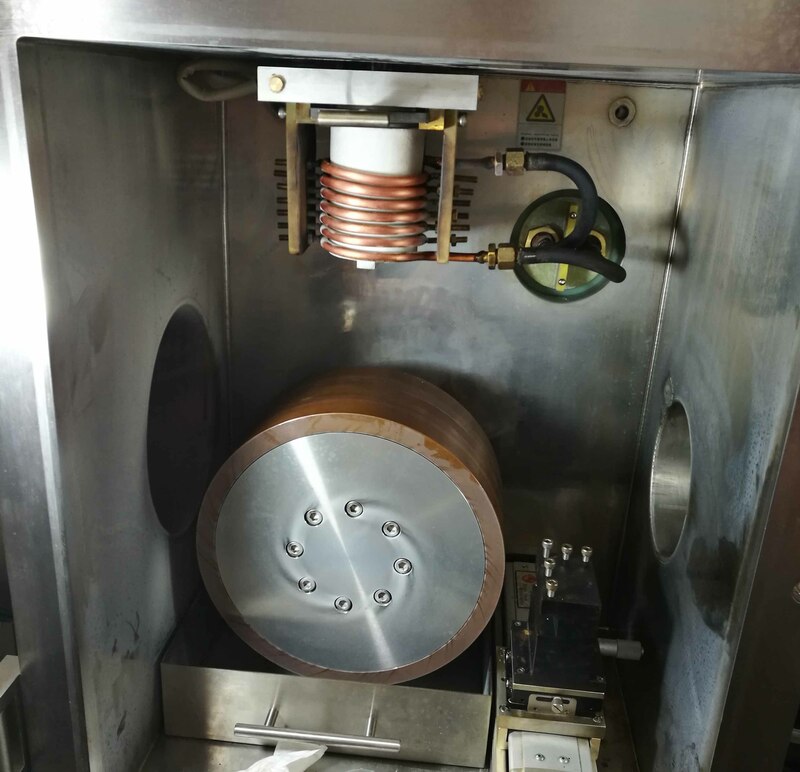 Maximum sample load: 150 – 500 g (material melting point < 1000°C, based on NbFeB. 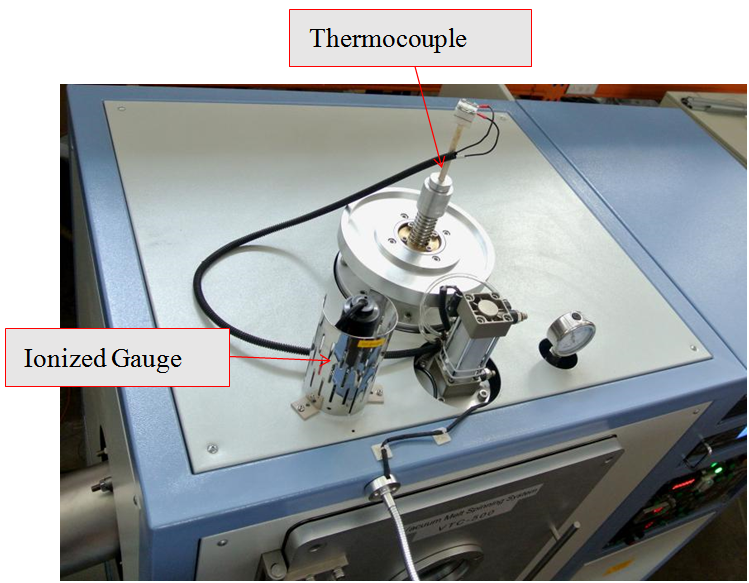 Crucible temperature, dwell time and ejection time can be controlled automatically by the controller. 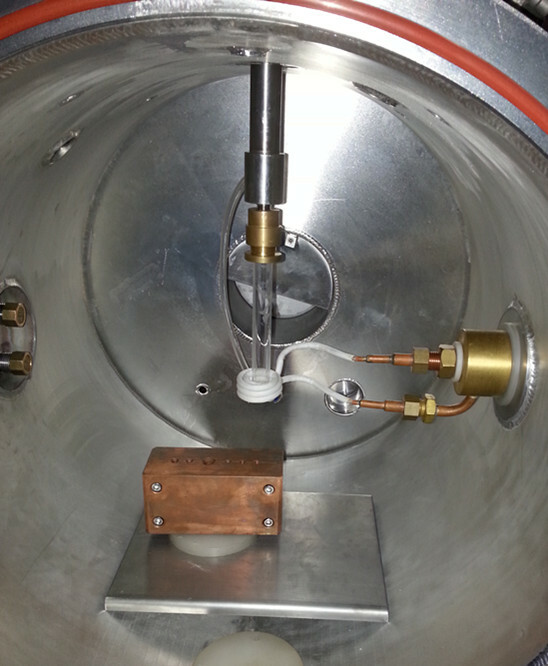 The temperature controller is integrated with a thermocouple (24” long) inserting into crucible wall. 30 programmable segments of temperature profile with ± 2 °C accuracy. 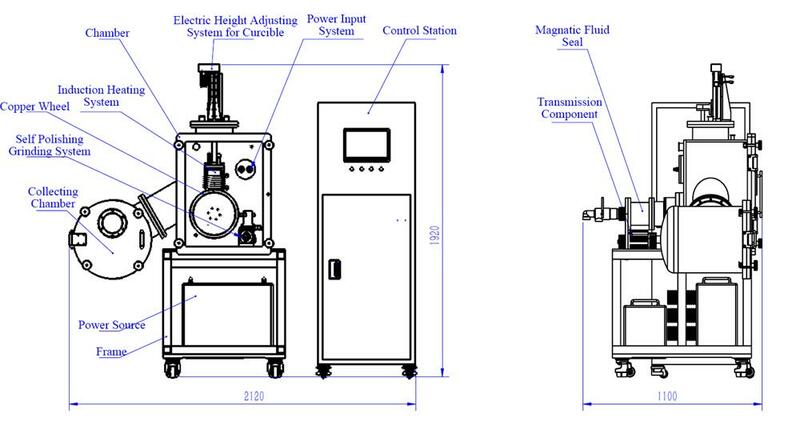 For materials with melting point>1200C, a 30KW induction power supply is highly recommended at additional cost. Please be advised that it is not every material that can be spun. 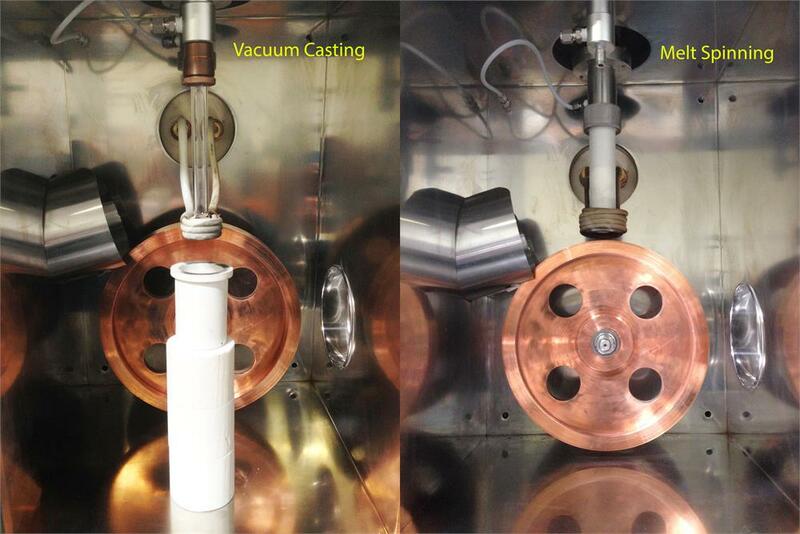 In order to melt spun successfully, material melton must match suitable viscosity. It is customer responsibility to fins right composition, crucible size and power supply. 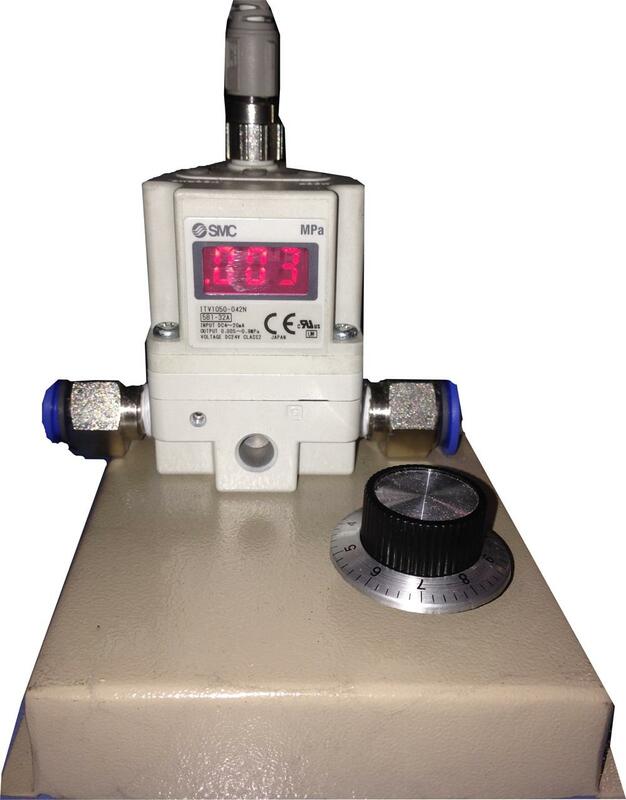 PID pressure regulator is included for precisely control the pressurized gas applied to the crucible for pushing the molten out from the slot. Gas driven solenoid valves are used for isolating the pumps from the chamber when not used, chamber purging and pressure relief. The Casting attachment is available upon on request at extra cost, pic 1~3. Customized water cold copper mold is available upon request. 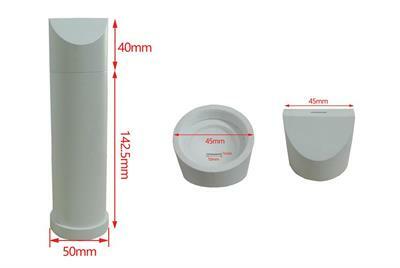 Vacuum casting mold is available upon request Φ120X90mm at the additional cost, pic.4. 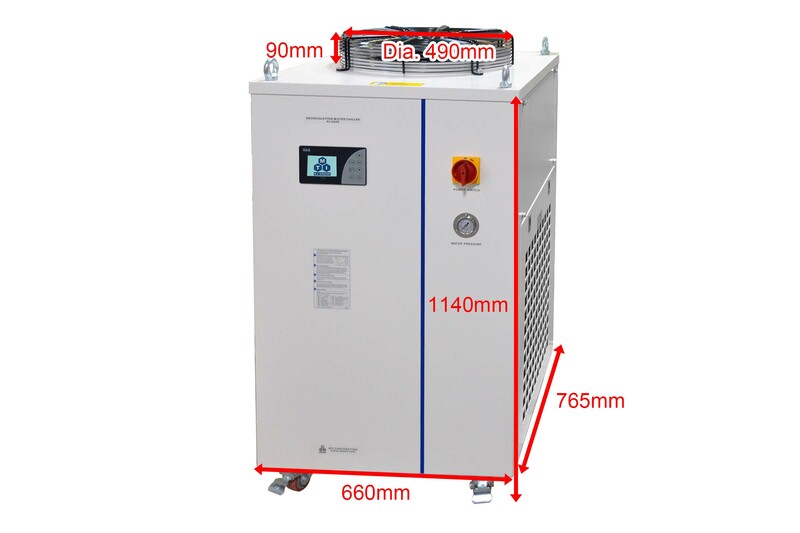 Water chiller (EQ-KJ-6300) is available at additional cost, pic.5. 2120 × 1100 × 2000 mm (L × W × H). Chamber: 500 × 550 × 700 mm (L × W × H). NRTL certification is available upon request at extra cost. One-year limited warranty with lifetime support.